A technician checks the equipment. 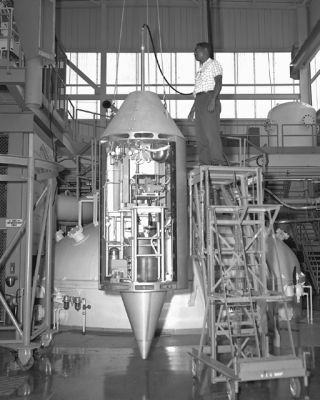 In this historical photo from the U.S. space agency, the zero-g payload building at the Space Experiments Laboratory at the Lewis Research Centeris pictured in August of 1967. The facility is now known as John H. Glenn Research Center.